I get so many comments and emails with questions about my Instagram feed. From how I have so many followers, to how I keep my feed professional looking. There are some simple key points to keep in mind when trying to create a better Instagram account, and I cover the most important ones below in 10 Tips for a Better Instagram! You’ll learn firsthand what I do now, and what I’ve learned throughout my Instagram experience, with information most big Instagrammers don’t want to share with people. 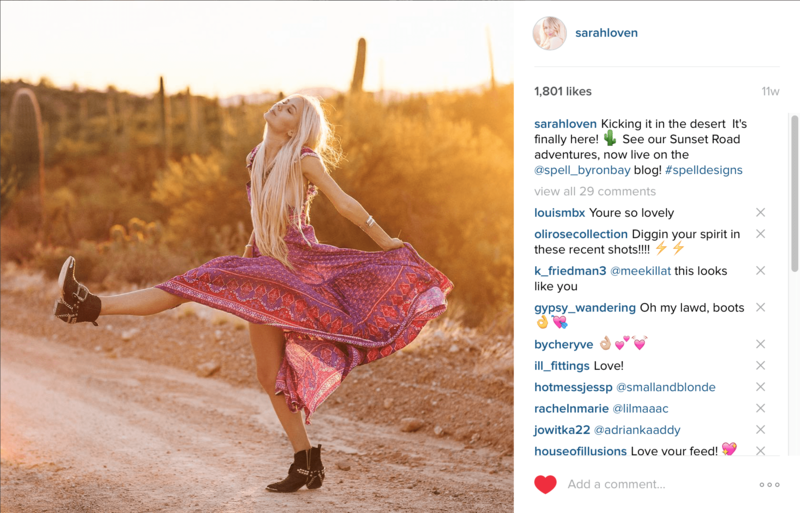 And whether you’re a fashion blogger, photographer, or business, these tips should help you know what steps to take right now to improve your Instagram’s appearance and stats. Whether you like it or not, first impressions online are everything, because it’s a visual community. You want to convey who you are and what your account is about in the first glimpse of your profile. Tell people what they can expect if they follow you. Thus, the 3 first things to think about are your profile photo, your bio, and your feed’s appearance. • Profile Photo – You want a profile photo that is clear and draws people in when seeing it. Usually a close portrait is best if you’re an online personality. Businesses should use their logo. And if your page is based on inspiration, pick a photo that conveys what you post, something that you can clearly see what it is. An icon that no one can tell what it is isn’t going to bring in many new viewers. • Bio – Your bio should take advantage of all the characters available, and describe your feed in a creative, but short and sweet way. Use emojis or special characters to customize it to be unique. Let it be fun, even if it needs to be professional. It should let people know exactly what you/your feed are about. • Feed Appearance – Your photo feed is basically a portfolio of your life. Whether you post your photography or just personal candid photos, you’ll want to only post the best/most interesting photos if you want to draw people in. Typically it’s best not to mesh personal photos (such as what you might see on Facebook) with your professional photos. Keep it consistent. It can be real, but let’s face it… if you want your feed to attract a lot of new followers, you’ll want to exclude the mundane posts that don’t set you apart from other accounts. There is so much to think about with your feed, so the next tips deal with more specific points! People follow a feed because they are interested in the main subject of your photos. So picking a theme and sticking with it is important. If you post travel photos, be sure not to stray too far from travel themed content, or you most likely will lose followers. Picking a “niche” is even better to gain more interested followers. The less broad/vague the subject, the more acute the interest is in your feed. For example, instead of just travel photos, tropical getaways would lock down more acute interest. For fashion, boho fashion may gain more dedicated followers. The less broad, the better. You may think this would exclude followers, but it actually locks down followers because it eliminates the chances they will unfollow you for posting things outside of their interest. This should be common sense, but just to be specific… You want your photos to be the best quality they can be, even if they’re just iPhone photos or regrams. Things to remember, image size (2000 px on the long side is recommended for best display quality on Instagram), crop (don’t crop in too much or you loose resolution), and color (don’t overdo it with filters. Most people see a filter on a photo and assume it’s not professional. It often looks tacky when thrown on professional photos too!) If you are editing your photos on your iPhone, a few apps I recommend are Afterlight, Snapseed, and VSCO. Colors can make or break your photo, please or displease viewers. People will usually judge a profile within 3 seconds, so it’s best to appeal to the eye. Creating a color scheme for your feed makes it visually appealing, which tells the brain it’s pleasing to look at. Things that color coordinate feel good to look at. It can be hard to lock into 1 color scheme, as I know well myself! 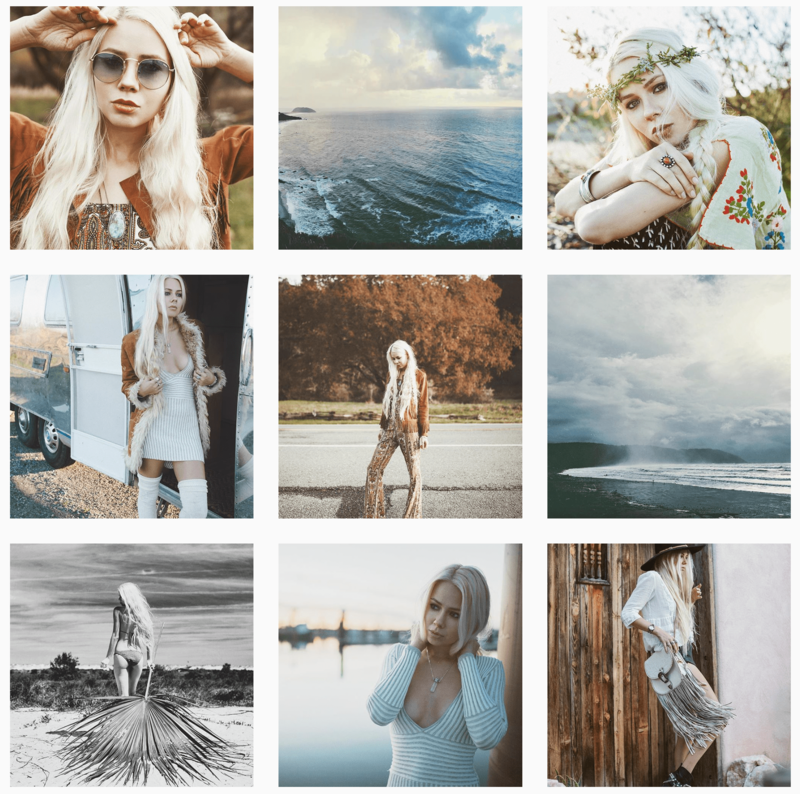 So try your best to keep your photos matching for 3 rows of photos at least, and try to blend them well into the next color scheme, transitioning like a gradient so it doesn’t feel sudden when scrolling through your feed. Your feed should be consistent in its composition. Posting square photos, then photos with white borders can make viewing your feed as a whole feel more “lopsided”. It’s best to keep it all matching. 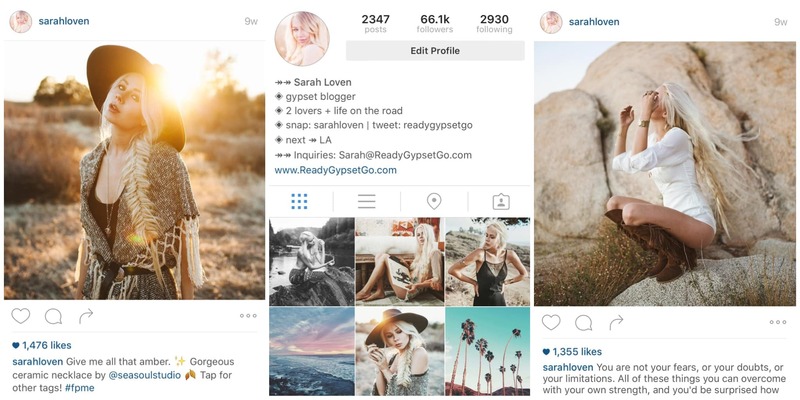 Decide if you’re going with a profile layout, such as when one photo is made up of multiple posts on your feed. Keep in mind this will only interest some followers, as some people get annoyed when you post 3+ photos at a time to make one big photo. Sometimes this can be done really well, though! 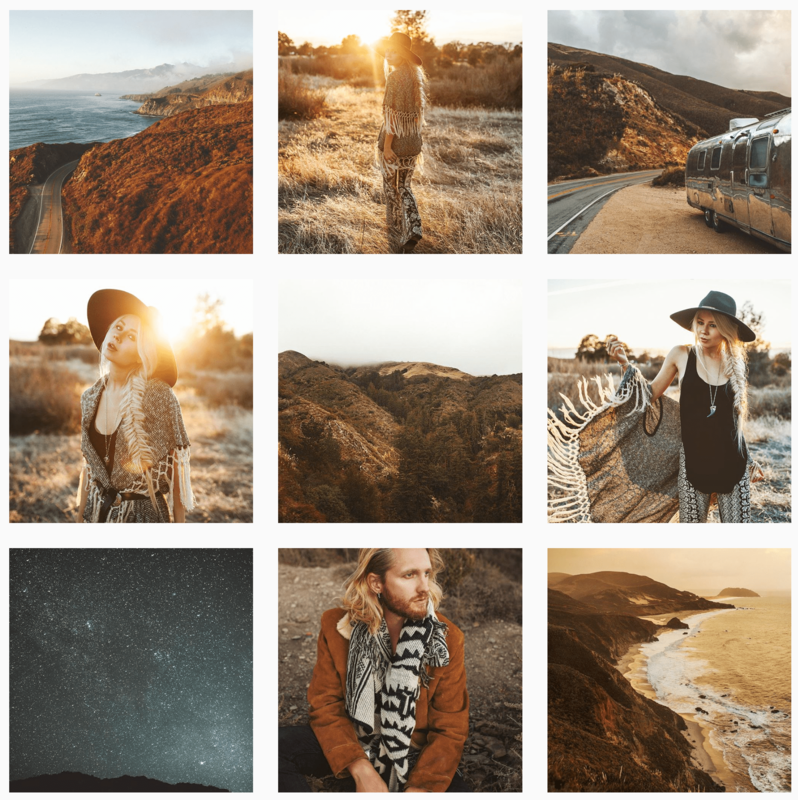 Keeping in mind the balance and composition of your feed, one basic tip is to alternate your photos. For example- landscape, portrait, landscape. Color, black and white, color. Or full body shot, close up, full body. It won’t always be perfect, but aim to not put 2 very similar photos right next to or on top of each other. This takes some planning ahead, and sometimes restricts what you can post and when. But it makes for a more interesting looking Instagram feed that draws the viewer’s eye throughout your posts. What goes under your photo is also important. Too much text will scare away some followers or annoy them, while no text can seem uninteresting and impersonal. A description should compliment the photo or subject. Hashtags are sort of controversial, as they can be helpful or hindering. Too many and it looks unprofessional. Using specific hashtags and straying from vague ones is the best method. #love and #fashion is pointless, because you’re competing with millions of other photos using these. 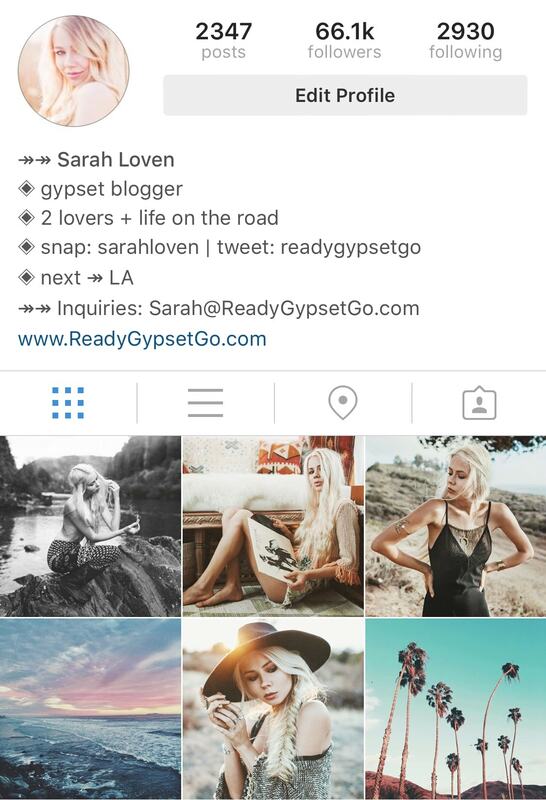 If you must use a hashtag, keep it related to your niche, like #gypsyfashion. Tags are a good way to spread your post to others. Giving credit where due is Instagrammer Etiquette, and is appreciated by all featured/involved in the photo. What you don’t want to do is tag people in photos with the hope that it will make them see/comment on your photo, or to gain exposure on their page. Especially if they have nothing to do with your photo. Wether you’re a big or small account, or wether it’s easy or hard to keep up with comments, the best tactic to gain followers is to interact. Take a moment to comment on their photos, and usually people will reciprocate. Be kind and welcoming, build a relationship with people. Give them a reason to want to come back. Respond to comments and keep the conversation flowing. We are all human, after all, not robots! You may not know this, but the times you post can be imperative to getting the most likes out of your followers. People have daily routines and usually check Instagram routinely as well. There are apps out there to tell you a basic schedule for when it’s best to post, and Iconosquare does that as well as give you some other helpful stats. I use the WhenToGram app for seeing my posting schedule. 10. Most importantly- don’t fake it! If you want to have a quality account that can take you into the professional realm, the MOST important thing to do is keep it real!!! I can’t stress this enough! Your followers/likes should be based on your skills and talents, and nothing else. Buying fake followers and likes, while may fool novice instagrammers, is easy to spot when you’re a professional. There are ways to calculate how many likes/followers an account should realistically be getting, so faking it will always look FAKE. And once you buy fake followers, you’ll forever have to keep up with buying fake likes and comments to maintain it looking realistic. It’s a nasty train to get stuck on, which forever ruins the authenticity of your account. Just be patient and work hard. Real followers are worth much more than temporarily fooling people with a faked account. And it will save your business in the long run. Well I hope these tips have shed some light on how to work towards a better Instagram account! I guarantee following these the best you can will greatly improve your stats! If you like this post and want more like it, leave suggestions for the next 10 Tips post you’d like to see from me, and any other questions you might like answered, in the comments section! Thanks to everyone who asked questions for this post! What great advice! Especially the part about building relationships with other users – a nice genuine comment is so so so much better than “follow 4 follow” BS. Thanks Sarah.. These tips are really helpful. The big one here that I’m going to take away is the part about Timing. I’m always struggling to figure out when my followers are around and paying attention. I’m going to get WhenToGram and see how it goes! Thank you for this! 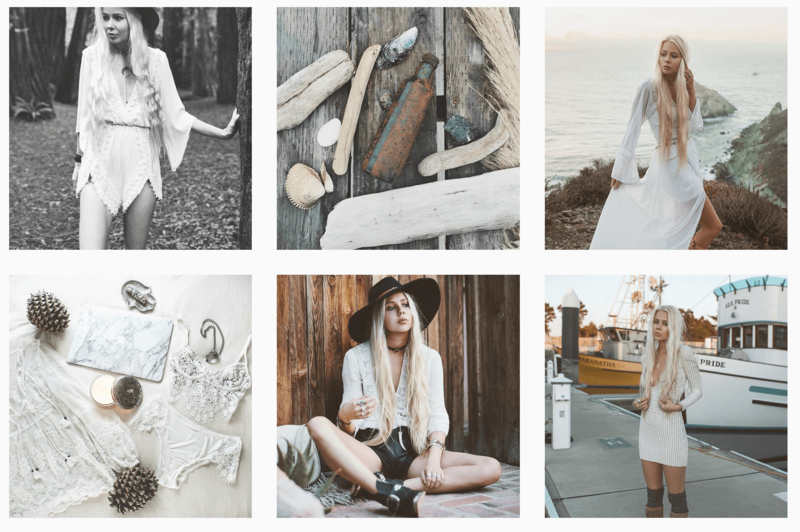 Your feed is beyond inspiring ~ these tips will definitely be implemented on my boutique brands new Instagram. I also have a question for you– would you mind if I did a feature of your blog & your lifestyle on my blog? The Airstream is crazy beautiful and I’d love to post a few of your photos (with credit, of course) alongside a link of your blog. Great tips! Your feed is sooo pretty. Color scheme and feed composition are some areas I need to work on for sure. My feed tends to look like a rainbow blew up lol and I kinda like it but I can see how there are ways to keep it colorful in a more organized manner. , I can’t wait to put these tips into action!